Join us for a half-day conference at Pepperdine University’s School of Law in Malibu, California, discussing “An Islamic Case for Pluralism, Equal Citizenship, and Religious Freedom”. What is the relationship between Islam and religious freedom? Leading Islamic scholars and religious freedom experts will address questions of religious freedom and pluralism in Islamic law and an Islamic case for religious freedom. Dr. Daniel Philpott and Shaykh Hamza Yusuf will deliver plenary addresses, each followed by a panel discussion responding to the arguments presented. Mustafa Akyol is a senior fellow at the Cato Institute’s Center for Global Liberty and Prosperity, where he focuses on the intersection of public policy, Islam, and modernity. A Turkish journalist and author, he is a regular contributing opinion writer for the New York Times since 2013, and has been a regular opinion columnist for Turkish publications such as Hurriyet Daily News, and for the Middle-East focused Al-Monitor.com. Akyol is the author of Islam without Extremes: A Muslim Case for Liberty praised by The Financial Times as “a forthright and elegant Muslim defense of freedom.” The book was longlisted for the 2012 Lioner Gelber Prize, and has been published in Turkish, Malay and Indonesian. (It was subsequently banned in Malaysia in 2017 after Akyol’s short arrest by the country’s “religious police” merely because Akyol delivered a public lecture defending religious freedom.) He is also the author of The Islamic Jesus: How the King of the Jews Became a Prophet of the Muslims and of six books in Turkish, including Rethinking the Kurdish Question. Dr. John D. Barton (Ph.D., Makerere University, Uganda) is Director of the Center for Faith and Learning at Pepperdine University where he also serves on the faculties of Seaver College’s Religion and Philosophy Division, the GSEP’s graduate program in Social Entrepreneurship and Change, and the School of Law's Straus Institute for Dispute Resolution. His academic interests include African philosophy, ethics and philanthropy, Christian and Islamic studies, and interreligious dialogue. Dr. Tarek Elgawhary is a scholar of Islam and comparative religions having studied at both Princeton University and al-Azhar Seminary. He has worked with numerous NGOs inside the US and abroad helping articulate the nuances of religion in the modern age. He is the host of the Podcast “Making Sense of Islam” and teaches and lectures around the world on various subjects related to the Islamic sciences including, but not limited to: Islamic law, hadith studies, Sufism, and countering violence and extremism narratives. Dr. Thomas Farr is President of the Religious Freedom Institute. A leading authority on international religious freedom, Farr’s book, World of Faith and Freedom: Why International Religious Liberty is Vital to American National Security (Oxford 2008) has influenced U.S. law and foreign policy. A senior fellow at the Institute for Studies of Religion at Baylor University and a consultant to the U.S. Catholic Bishops' Conference, he served for 28 years in the U.S. Army and the U.S. Foreign Service. In 1999 Farr became the first director of the State Department's Office of International Religious Freedom. He has directed the Witherspoon Institute's International Religious Freedom (IRF) Task Force, taught at the National Defense University, and served on the Secretary of State’s IRF working group. From 2008-2018 Farr was Associate Professor of the Practice of Religion and World Affairs at Georgetown University’s School of Foreign Service. He founded and directed the Religious Freedom Project at Georgetown’s Berkley Center. Sherman Jackson’s research interests begin in classical Islamic Studies, including law, theology and intellectual history, and extend to placing this legacy in conversation with the realities of modern Islam in the West, most especially Muslim communities in America. This implicates issues of race, immigration, liberalism, democracy, religion in the modern world, pluralism, constitutionalism, Muslim radicalism and related areas of inquiry, again, all in conversation with the classical and post-classical legacies of Islam. He is now in the early stages of a major book, tentatively entitled: Beyond Good and Evil: Shari'ah and the Challenge of the Islamic Secular. Dr. Kent Hill is Executive Director of the Religious Freedom Institute. He joined the RFI after six years as Senior Vice President at World Vision, one of the largest faith-based relief and development organizations in the world. He also served for eight years as Assistant Administrator for the U.S. Agency for International Development (USAID), responsible for U.S. foreign assistance to Eastern Europe and the former Soviet Union, and, subsequently, all USAID health programs worldwide. Earlier in his career, Kent was President of Eastern Nazarene College, and President of D.C.'s Institute on Religion and Democracy. In 2010, as a Vice President at the John Templeton Foundation, Kent, along with Tom Farr, conceived Georgetown's Religious Freedom Project and secured funding to launch the project. Kent published a book on Christianity and the Soviet Union entitled, The Soviet Union on the Brink: An Inside Look at Christianity and Glasnost. His Ph.D. is from the University of Washington. Hamid Khan is an adjunct professor at the University of Michigan Law School. He is the deputy director of The Rule of Law Collaborative at the University of South Carolina, and a nonresident senior fellow at the King Faisal Center for Research and Islamic Studies in Riyadh, Saudi Arabia. Professor Khan currently presides over a multi-year cooperative agreement between the University of South Carolina and the U.S. Department of State on rule of law-related matters and has consulted on matters related to Islamic Law with a variety of international organizations, nongovernmental organizations, and U.S. government agencies, including the Director of National Intelligence, the U.S. Department of Defense, the U.S. State Department, the U.S. Agency for International Development, the Federal Judiciary, the United Nations, NATO, ISAF (Afghanistan), and the U.S.-Islamic World Forum at the Brookings Institution. Professor Khan also serves as a National Security Fellow at the Truman National Security Project; as a member of the academic advisory committee for Bayan Claremont, an Islamic graduate school; as a resident member of the World Justice Project's Rule of Law Consortium on Islamic law; and as a source expert on Islamic Law for the International Network to Promote the Rule of Law. Dr. Daniel Philpott is a Professor of Political Science at the University of Notre Dame and Senior Associate Scholar of the Religious Freedom Institute. He received his Ph.D. from Harvard in 1996 and studies religion and global politics, specializing in political reconciliation, religious freedom, theories of the political behavior of religious actors, and Christian political theology. Among his books are Just and Unjust Peace: An Ethics of Reconciliation (2012), God's Century (2011), written together with Monica Duffy Toft and Timothy Samuel Shah, and the just-published Religious Freedom In Islam: The Fate of a Universal Human Right in the Muslim World Today (2019). He has also served as an activist for political reconciliation in Kashmir and the Great Lakes region of Africa and for religious freedom. 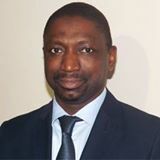 Professor Koutoub Moustapha Sano is a Minister in The Office of the President and Diplomatic Advisor to the President of Guinea. He has served as Minister of International Cooperation from 2011 to 2016 and as Minister of Religious Affairs from 2009 to 2011. Professor Sano also served as Deputy Rector for Internationalisation and Innovation at the International Islamic University Malaysia (IIUM), Malaysia from 2005 to 2009. Since 2004, he has been the Vice President of the Council of the International Academy of Jurisprudence (Fiqh Academy) at the Organization of Islamic Cooperation, (OIC). Professor Sano was a professor of Comparative Jurisprudence, Maqaasid Shariah and Islamic Finance at the International Islamic University for 16 years, from 1993 to 2009. He obtained a Doctorate of State in Islamic Finance from the University of Zaytuna in Tunisia, and a PhD in Laws from the International Islamic University Malaysia. Professor Sano earned, with first class honour, his BA and MA in Fiqh and Usul Fiqh (comparative and sources of Islamic jurisprudence) from King Saud University Riyadh, Saudi Arabia. Professor Sano has published 25 books and more than 45 articles. He speaks fluently four languages; Arabic, French, English and NKO. He is a visiting professor to the International Islamic University Malaysia. Jihad Turk is the founding President of Bayan Claremont Islamic Graduate School. Jihad previously served as the Imam/Director of Religious Affairs at the Islamic Center of Southern California, LA’s oldest and largest mosque. For the past 15 years, Jihad has dedicated himself to improving relations between the Muslim and Christian communities of Southern California. Jihad has co-founded the Muslim-Christian Consultative Group comprised of major SoCal Muslim leaders and the judicatory representatives of mainline protestant denominations as well as the Catholic archdiocese. He also co-founded the Greater Los Angeles Muslim Jewish Forum which brings together major leaders of both faiths to improve relations and to address issues of common concern. Jihad has been consulted by the White House and has traveled around the world (Indonesia, Morocco, Qatar, and France) for the US State Department to speak to Muslim communities abroad and represent the American Muslim Community. Shaykh Hamza Yusuf is president and senior faculty member of Zaytuna College in Berkeley, California, America’s first accredited Muslim liberal arts college. He is an advisor to the Center for Islamic Studies at Berkeley’s Graduate Theological Union. Yusuf also serves as vice president for the Forum for Promoting Peace in Muslim Societies (Abu Dhabi), which was founded and is currently presided over by Shaykh Abdallah bin Bayyah, a world-renowned Muslim scholar and jurist. In addition, Yusuf has joined the Emirates Fatwa Council under the leadership of Shaykh Abdallah. He is the author of several books and scholarly articles, while also translating major creedal Islamic texts into English. Books he has authored or translated include Purification of the Heart, The Content of Character, The Creed of Imam al-Tahawi, Caesarean Moon Births, Prayer of the Oppressed, and Agenda to Change our Condition. Recently, Hamza Yusuf was ranked as “the Western world’s most influential Islamic scholar” by The Muslim 500, edited by John Esposito and Ibrahim Kalin. Along with his extensive training in the Western liberal arts, Yusuf has studied Arabic and the Islamic sciences for over 40 years with leading scholars of the Muslim world.